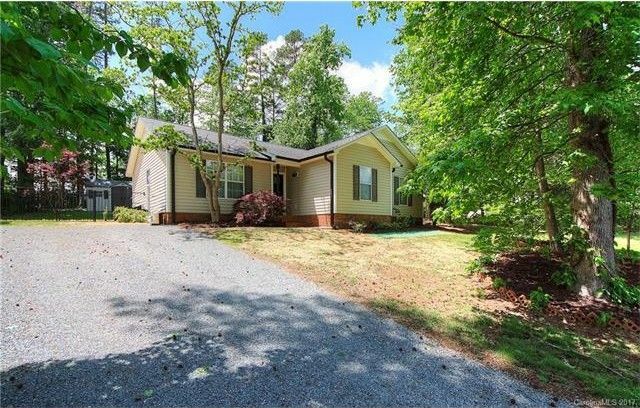 Bright open and airy home that has been recently upgraded. 2 remodeled baths, with vessel sinks, all new flooring. Granite counters in kitchen. Privacy window film on back door. Fenced yard with storage building. Home owner has meticulously maintained this home. Home Warranty included America's Preferred (value $540) Roof (2013) HVAC (2014). Multiple offers.. please submit highest and best by Tuesday May 2nd 6pm. The kitchen refrigerator does not convey. Directions: From Charlotte , East on Independence Blvd 1 mile past I485, turn left on Forest Park Dr, then right on White Oak. I485, take Idlewild exit to left turn on Idlewild to left on Stallings road travel to left into neighborhood, then right on White Oak.